Russia’s most recent modernization effort is hindered seriously by the country’s civilizational characteristics discussed above. In the light of the modernization theory, the contemporary transformation of Russian society that began with Gorbachev’s rise to power has gone through three completed stages and one incomplete stage that began with the advent of Vladimir Putin and is still unfolding. 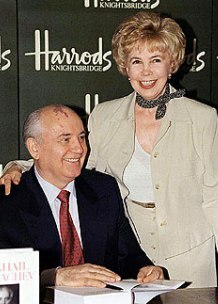 During the first stage (1985-86) Gorbachev and his circle used mainly traditional Soviet command-administrative methods of reform, similar to those that had been used by their predecessors, Khrushchev and Andropov. They wanted to “accelerate” socialist development without touching the foundations of the Soviet system. These measures did not produce positive results. Quite the opposite, they only worsened the country’s economic and social problems. During the second stage (1987-91) Gorbachev turned to a new reform strategy shifting the main focus to political democratisation. The intention was to remove from power the communist hardliners who blocked the reforms and to replace command-administrative socialism by some kind of democratic socialism that would release Soviet society’s economic and social potential. The new strategy produced the results totally unforeseen by the reformist leadership. The economic reforms stalled, but political democratisation developed, gained its own momentum, and soon escaped Gorbachev’s control. It produced political and ideological pluralism, led to the emergence of a multi-party system, and the rebirth of civil society. Eventually Gorbachev’s political reforms brought about a peaceful political revolution that swept away the Soviet command-administrative system and the Soviet Union and removed from power the architect of perestroika himself.